Named for George E Upton, a 1st Lieut in Co F, 6th New Hampshire Infantry. 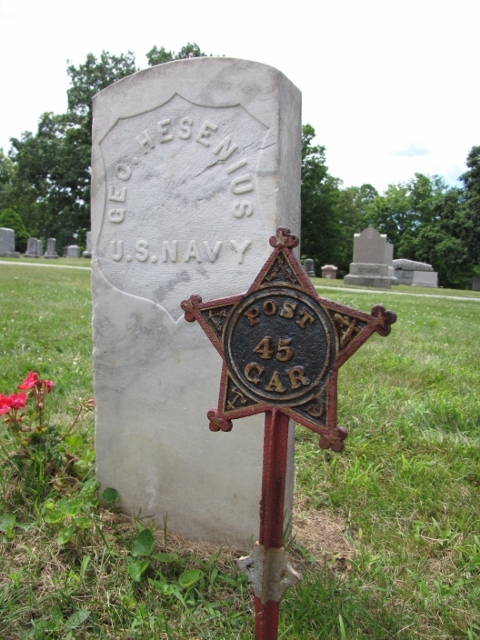 He was mortally wounded during the Battle of the Crater (aka Burnside's Mine) at Petersburg, VA on 30 July 1864, and died the following day. 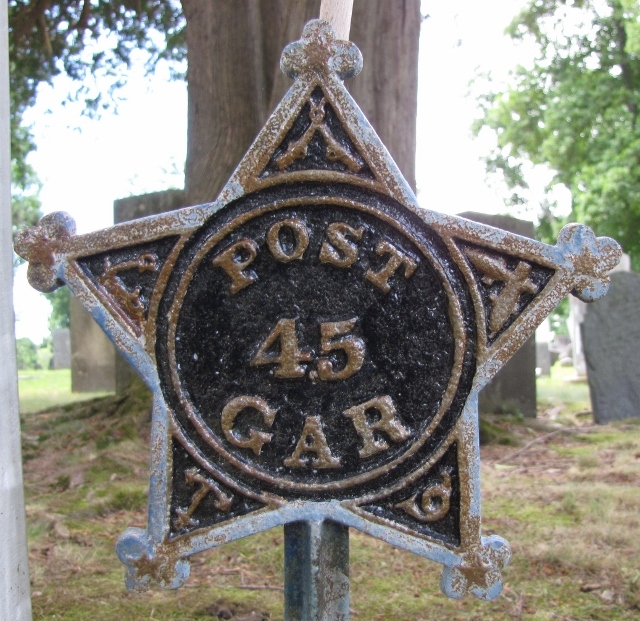 Two Post 45 markers in Forest Hill Cemetery, Derry, NH. The above marker looks like a newer version, while one at right seems to be recolored.